Hello Steve. This is awesome advice. Thank you so much for responding so quickly. I will let you know how this turns out. And, by the way, I do not have a G1000 panel, all steam gauges (which I prefer). Just a couple of thoughts based on the assumption that you do not have the Garmin 1000 installed. 1) There are a couple of potentiometers on the side of the fuel indicator gauge to set empty and full. Potentiometers do create problems; not sure if it's possible for these "pots" to be the source of the problem but my logic says it's possible. Secondly, CIESCorp.net sells very good fuel senders that are approved for installation in your airplane. Cost is $395 each. 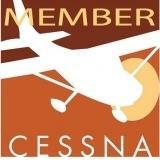 If you're not happy with the Cessna product, I think the CIES senders will work. 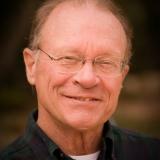 Scott Philben at CIES may be able to help with trouble shooting your problem. Hello, I have a 1997 182S that has fuel gauge operability issues. When this plane came home from Florida to Virginia for the first time, I noticed one of the fuel gauges would go from reading the amount to empty, and then back again intermittently. Once home, I asked the local A&P to have a look. They cleaned up the contacts and said everything appeared better. On the next flight, the same problem arose again. The recommendation was then to just replace the fuel gauge sending unit with a new one. Additionally, there were no STC'd version of this sending unit as Textron had released a revised deign and no one had made a comparable unit. I told the A&P to just replace both sides as it was more cost effective knowing the effort needed to take apart the headliner and drain the tanks. They ordered two new units from Textron and installed them. The first day of flying after the new sending units were installed, I had the tanks topped off and went on a short cross country with my instructor. Right after startup, one of the gauges went to empty. Then, during taxi, it went back to full. During run-up, the other gauge went to empty and returned to full on takeoff. Very frustrated, I called the A&P and told him what was going on. After they pulled everything back apart again and did some very thorough testing,, it was finally determined that both new sending units were defective. When they would go to a certain level, the resistance would go out of spec. Textron was called and said they will send two new ones. The A&P told me there is lots of chatter out online that this is a known issue with these re-designed sending units. I was astounded. Is it possible that Textron knows these units are defective and are continuing to send them out to put in aircraft? Is this a design issue and they are not admitting to it or actually fixing it? Please let me know if anyone can give me some good advice on where to go next with this..